Beautiful, updated double master on 2 acres near front entry of sought after Stone Island in historic Enterprise! New features--Dual zone A/C, updated electrical includes LED lighting, heated and lighted inground pool, granite countertops, all brand new JELD-WEN doors and windows with both low E and security glass includes French doors in the kitchen that leads to the newly paver patio and walkways that surround the entire home. All work was done in the last three years. The main master is an extremely spacious suite which has its own entrance to the pool, jetted tub, walk-in closet and is accessed through French doors from the main hall. 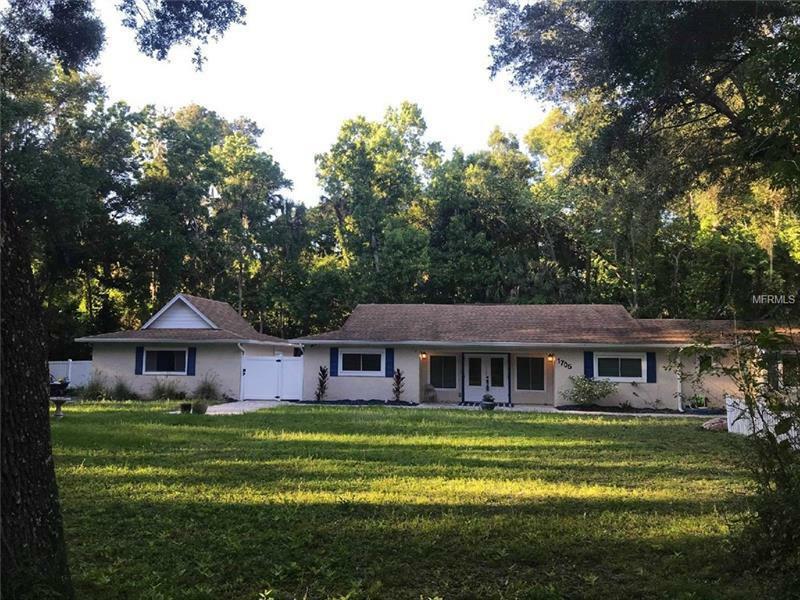 Completely fenced in yard offers plenty of space for play while the garden areas feature rubber mulch surrounding Florida friendly plants and flowers. Gorgeous property with lots of privacy! Your home is less than 5 minutes away from Lake Monroe and the public boat launch. Lake Monroe is connected to the St. Johns River, which means lots of long, lazy days on the water! No formal HOA but Turtle hill residents chip in $250 a year to help maintain the road.Easy access to both I-4 and State Road 415. Five parks are within a bike ride or jog ensuring your slice of country heaven will remain while being nearby to shopping hubs. Come get your new home!